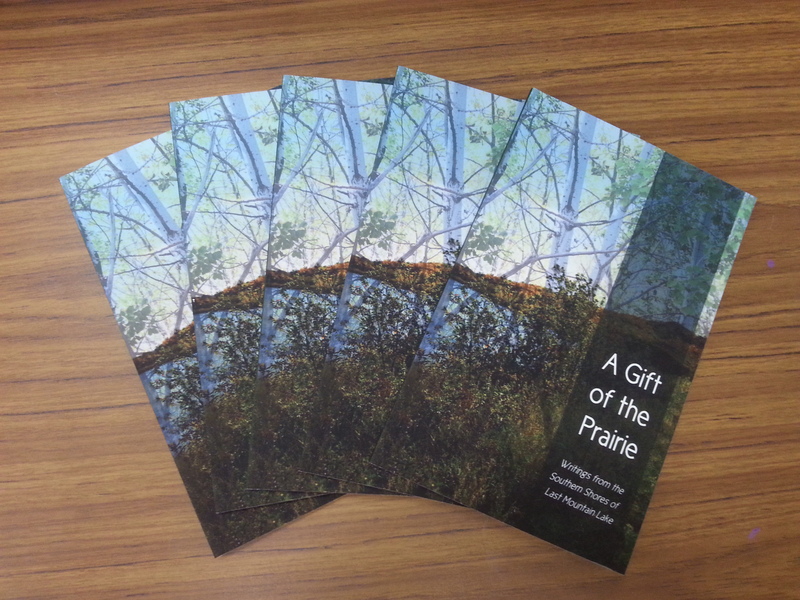 At 7:30 pm on Monday, October 20, some contributors to A GIFT OF THE PRAIRIE will be part of a night celebrating three new books! We’ll give readings from our book at the Vertigo Series in Regina and be treated to readings by Fionncara MacEoin, a Saskatoon poet on tour with her first collection, Not the First Thing I’ve Missed (Thistledown Press, 2014), and Lori Hahnel, a Calgary fiction writer who’s touring her fourth book, After You’ve Gone (Thistledown Press, 2014). And there’ll be live music provided by The Stillhouse Poets. See you there! Two launch parties down, two to go! 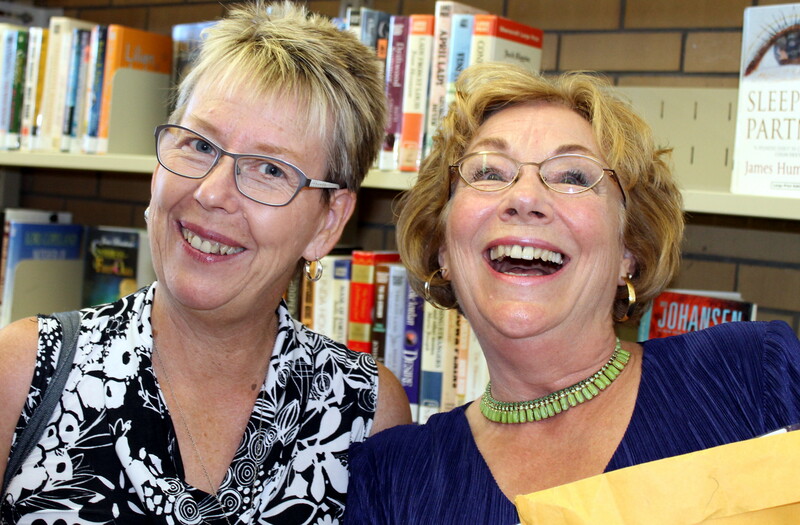 Kate Hersberger blogged about the Lumsden Beach launch on Moving Forward Looking for the Joy. Kate is a visual artist living in the Fort Qu’Appelle area. 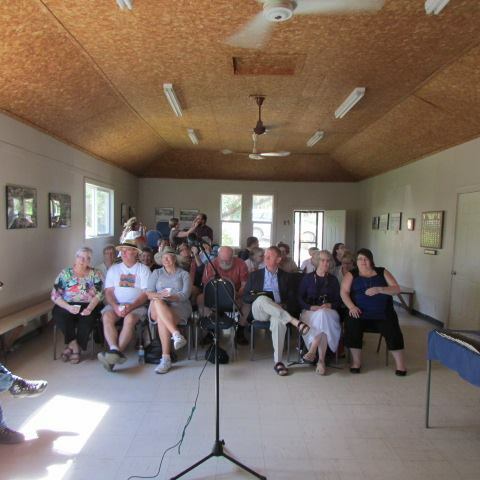 Her photos are fantastic, including this one on the left, taken inside the Lumsden Beach Hall last week! Sales were brisk. 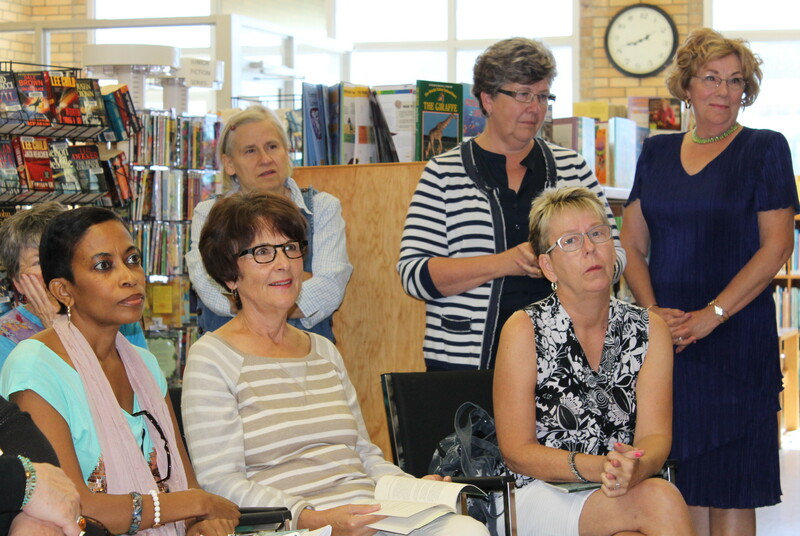 Quite a few sold at the Lumsden Launch yesterday, too. 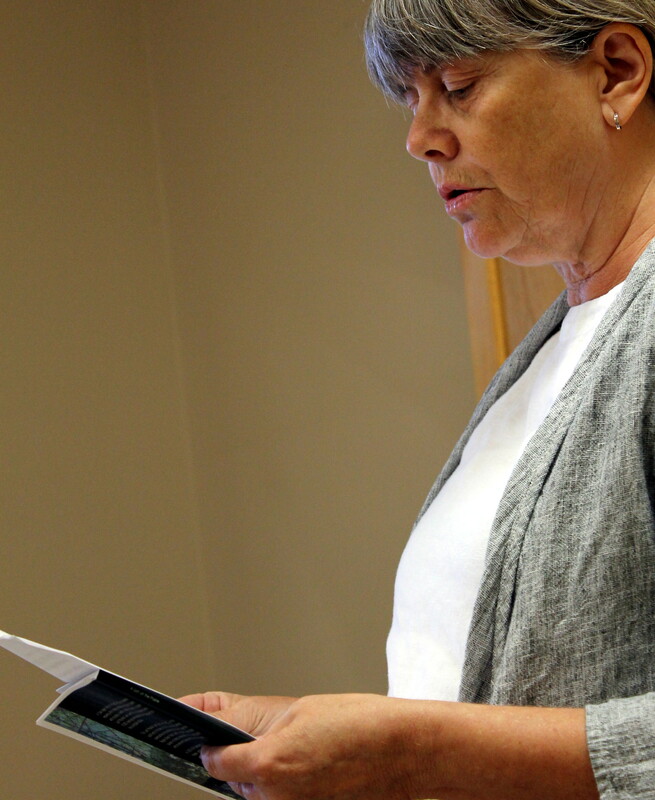 Almost 30 people came out to hear readings by contributors to A GIFT OF THE PRAIRIE. The library was packed, standing room only! And the readings were excellent. A woman in the front row, who’d driven out from Regina to attend was moved to tears. “No one told me to bring Kleenex,” she muttered at one point. Not all the content is tear-inducing, but some is very touching. And some is quite humourous while some perfectly describes an image from the lake. All-in-all the launches are serving at least two of their purposes: provide contributors with an opportunity to share and celebrate their work and to sell books. One box of books down, one to go! Two launch celebrations remain. At 2 pm on Sunday, September 28 the Last Mountain Lake Cultural Centre celebrates Culture Days in Saskatchewan with artist-in-resident, Jay Kimball‘s, residency show in the gallery and a hometown launch of A GIFT OF THE PRAIRIE. It is not to be missed! 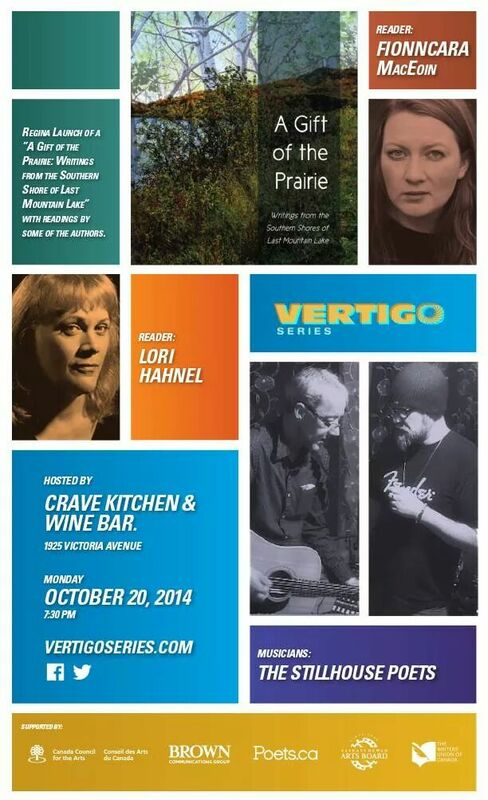 The final book launch is planned for Monday, October 20 as part of the Vertigo Series in Regina. More about that another time. 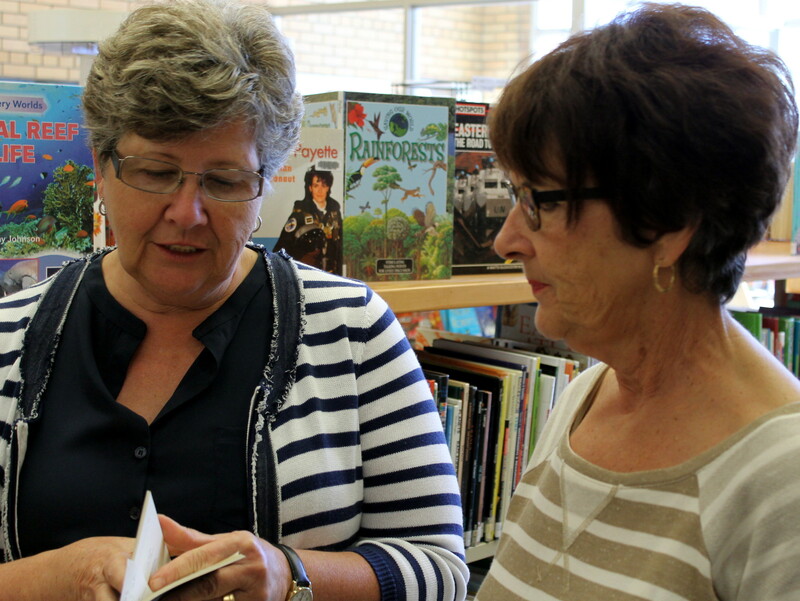 Here now, are more photos from Lumsden Library. 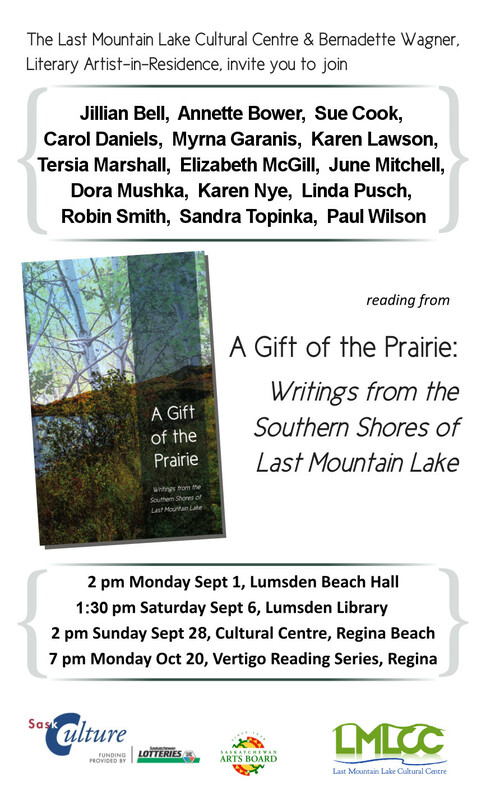 On Monday, September 1 at 2 pm in the Lumsden Beach Hall the first in a series of events celebrating the publication of A GIFT OF THE PRAIRIE: Writings from the Southern Shores of Last Mountain Lake will take place. 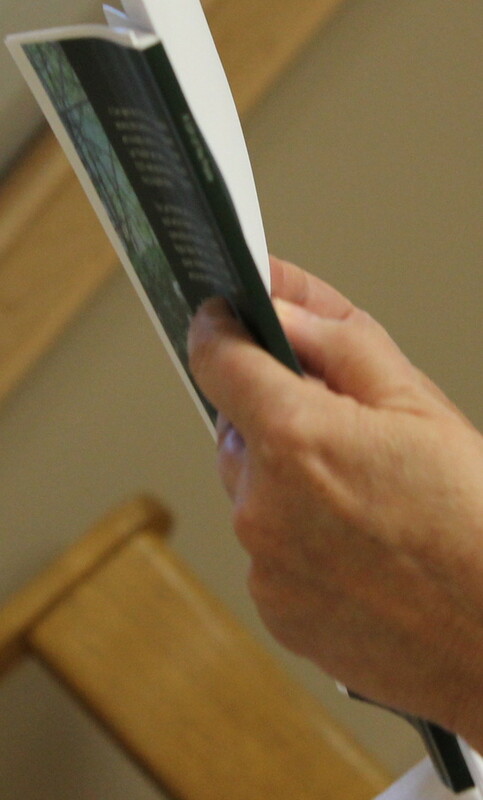 The book’s launch will feature readings from some of the contributors. Jillian Bell, Annette Bower, Sue Cook, June Mitchell, Robin Smith, Paul Wilson, and Editor, Bernadette Wagner. Everyone is welcome to attend this event and the additional launches taking place in Lumsden, Regina Beach, and Regina over the next six weeks. Books will be available for $20 (cash or cheque only) at the launches. They’re also on sale at SaskBooks in Regina, The Painted Parasol in Lumsden and at the LMLCC in Regina Beach or by mail order. 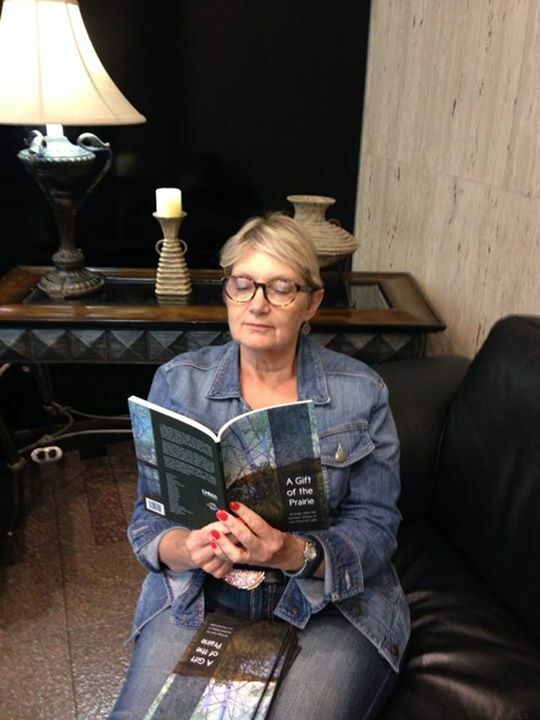 I am honoured to be part of A Gift of the Prairie: Writings From the Southern Shores of Last Mountain Lake. When I lived at Regina Beach in the eighties, I drove into Regina to attend my first creative writing class with Ven Begamudré. After many classes and other publications, I am pleased to be part of this collection with writers who shared the same landscape and community. It is a powerful experience to be walk among the Last Mountain hills and valleys and boat, fish, swim, skate and snowmobile on the lake. Thank you Bernadette Wagner, the board of The Last Mountain Lake Cultural Centre and the sponsors for making this collection possible. Annette Bower’s sons grew from infants to young adults at Regina Beach. 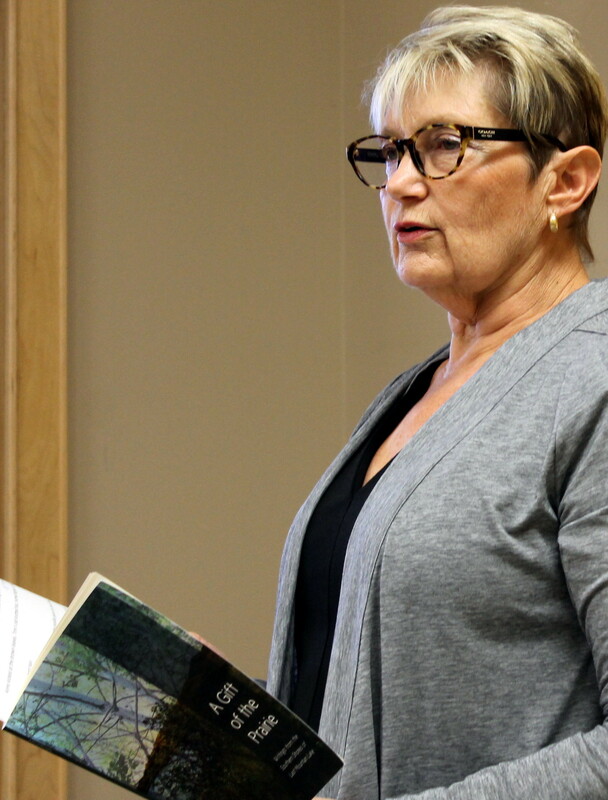 She was the administrator when the village became a town and twice served on the Regina Beach Town Council. Annette writes short stories and novels about women in communities and in families searching for and finding love. Yes! A GIFT OF THE PRAIRIE has arrived! Please contact us if you are interested in offering A GIFT OF THE PRAIRIE for sale in your place of business. A Cree legend tells of the Great Chief placing materials that remained after building mountains onto the smooth prairies and scooping a handful of earth from beside it to create Last Mountain Lake which is located in south-central Saskatchewan, Canada. Scientists say the lake formed some 11,000 years ago when glacial meltwaters flowed south into the Qu’Appelle spillway. The Last Mountain Lake Cultural Centre (LMLCC), at the south end of the lake, is a hub of cultural activity serving communities at the southern end of the lake. It houses the Regina Beach Public Library, two galleries, several studio spaces, including a large pottery studio, a drawing studio and private artist spaces and hosts artists-in-residence. 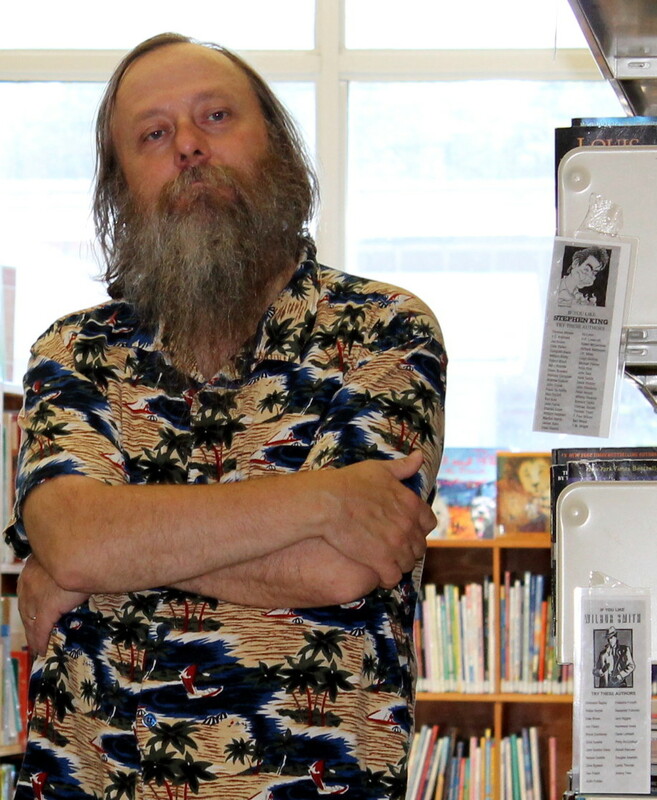 In 2013-2014 Bernadette Wagner served as the inaugural literary artist-in-residence at the LMLCC. 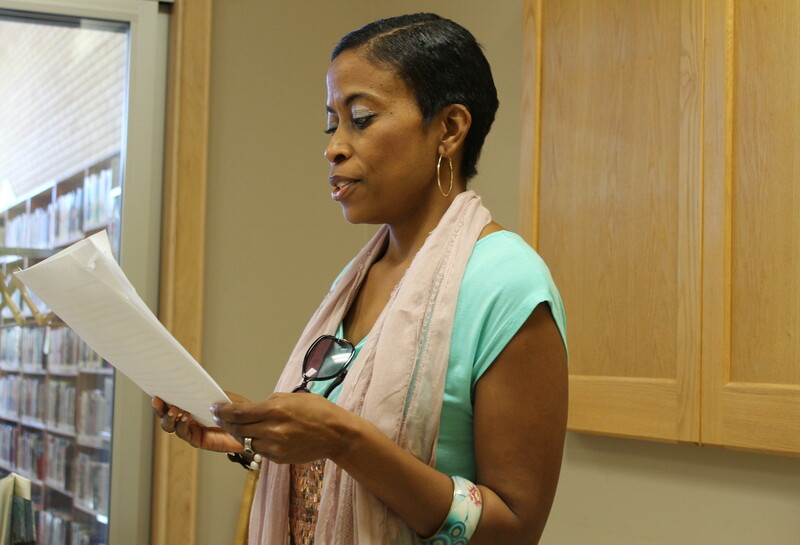 She worked with local residents to support their writing and invited writers with a connection to the communities it serves to contribute to this collection. The result of that call is A Gift of the Prairie: Writings from the Southern Shores of Last Mountain Lake, a multi-genre anthology of work by writers at varying stages of their careers. Watch for future updates to learn how you can get your copy and for information about launch parties.